Despite the abundant evidence from Obama's victories proving that the U.S. population has fundamentally changed, many progressives and Democrats continue to waste millions of dollars chasing white swing voters. 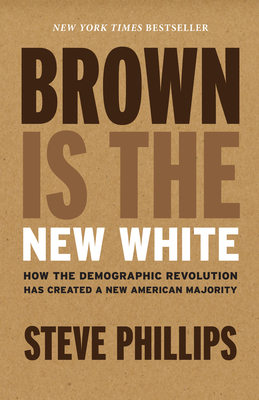 Explosive population growth of people of color in America over the past fifty years has laid the foundation for a New American Majority consisting of progressive people of color (23 percent of all eligible voters) and progressive whites (28 percent of all eligible voters). These two groups make up 51 percent of all eligible voters in America right now, and that majority is growing larger every day. Failing to properly appreciate this reality, progressives are at risk of missing this moment in history--and losing. Steve Phillips became the youngest person ever elected to public office in San Francisco and went on to serve as president of the Board of Education. He is a co-founder of PowerPAC.org, a social justice organization that conducted the largest independent voter mobilization efforts backing Barack Obama, Cory Booker, and Kamala Harris. In 2014, he co-authored the first-ever audit of Democratic Party spending and was named one of "America's Top 50 Influencers" by Campaigns & Elections. He has appeared on multiple national radio and television networks, including NBC, CNN, Fox News, and TV One. He was a featured speaker at the City Club of Cleveland in 2014, and his address on race and politics was nationally broadcast on C-SPAN. He holds a BA from Stanford University and a JD from Hastings College of the Law. He is the author of the New York Times bestseller Brown Is the New White.